The no obligation telephone consultation service applies to both domestic and business customers in the South London area. 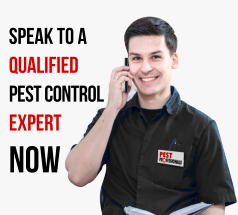 No flea extermination job is too big or too small for us to look into. Where appropriate we are able to advise on any immediate action required to protect your well being, property or possessions prior to a visit. If a visit is required we let you know if there will be a call out charge and also advise on the probable costs of any treatment for fleas should it be needed. The flea is a biting pest that is commonly associated with properties with pets and animals. Fleas react to movement, light changes and carbon dioxide and can leap enormous distances (onto you!) making use of their incredibly powerful back legs to grab a blood meal. After a meal a female can lay several hundred eggs. There are a number of different species of fleas, with the cat flea being the most common. They are generally thought to be transmitters of disease and must be dealt with. If you are getting bitten in a new property it could be that the former owners had a cat or dog with a flea problem. Fleas may however be carried by most hairy animals and birds including cats, dogs, rabbits, rats, mice and livestock. Non-treatment can also result in pets developing allergies. Fleas can remain in the pupal stage for a year. The pupae can sense vibrations and develop into the adult stage within three seconds and immediately take a blood meal. This is why properties that have been empty for a long time can appear to have a sudden flea infestation when humans enter. Fleas have the tendency to bite about the lower leg and ankle, creating an unpleasant itch or rash. Flea bites often tend to have a tiny red spot in the center, surrounded by a reddened area. Commonly you will see two or three bites in a row on your ankles. Children commonly react badly to flea bites. However if the bites are taking place at night and on the upper body, bed bugs could be the cause. Treatment for fleas is undertaken most efficiently using powerful professional strength residual insecticides. Because flea pupae (the stage before they emerge into adults) can have resistance to insecticides, a follow-up treatment from the pest controller may be advisable. 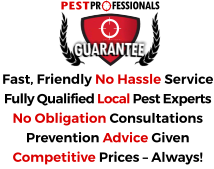 If you need sound advice or swift solutions to problems with fleas anywhere in South London or the neighboring Boroughs – speak to us.